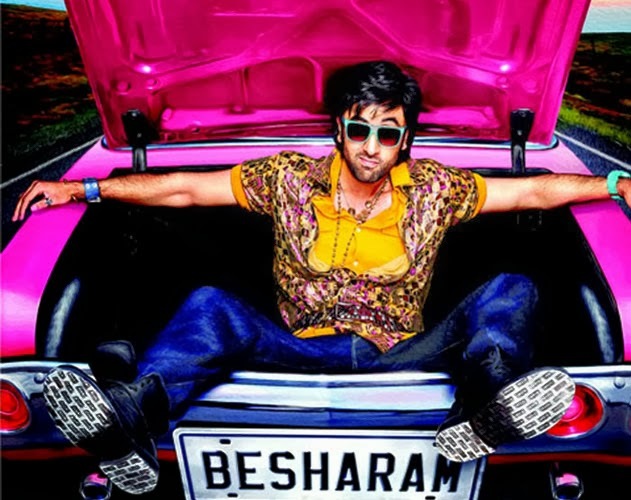 Besharam grossed 2.75 crore nett approx in its second weekend takings its total to 54.25 crore nett. The film has seen the sort of crash that is rare for big films with the film falling 90%. The 60 crore nett looks a huge distance away and the film will finish at around 56 crore nett with a distributor share of 30 crore approx. These totals have come with a big national holiday on day one and if that had not been there the collections of the film would have been even less. The loss on the film will be around 20 crore with recovery from all revenue sources to be around 65 crore on a 85 crore investment. War Chodd Na Yaar grossed 4.50 crore nett over its first weekend with approx figure of 1.25 crore nett on Friday, 1.50 crore nett on Saturday and 1.75 crore nett on Sunday. The film was up slightly on both days of the weekend but it does not make much difference as the film needed collections to be much higher on Saturday and Sunday. The film should hold with low level collections on Monday and Tuesday but will not add much after. It is a huge uphill task for the film to gross even 10 crore nett. The other releases Baat Ban Gayi, Kya Hua Achanak and Paapi were washouts with Baat Ban Gayi and Paapi collecting better than Kya Hua Achanak. Lunchbox grossed 1.75 crore nett approx in week three. The three week distributor share is 9.25 crore approx. Verdict is still awaited, but as the film is low budgeted, it will surely get HIT status. It may even get Super Hit status. Grand Masti collected 1.25 crore nett approx in its fourth week. The four week distributor share is 46.50 crore approx.